Did you know that walking routes, besides being an excellent sportive activity, can be a great way to explore the world? Europe, as the oldest continent, is not only rich in historical events and places. It also happens to be a great place for hiking lovers across the world. If you enjoy spending your spare time outdoors, if you like to go searching for adventures, or if you’re thinking about where will you spend your next active holidays, here’s a list of some of the best places to hike inside Europe. Are you one of those who enjoy having a great view of an aquatic landscape? 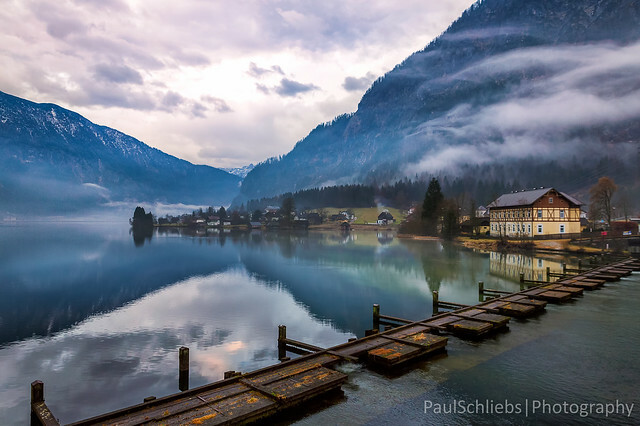 Then Salzkammergut is the perfect choice for you. Austria has a really beautiful lake district that you can discover easily. In this destination you’ll find facile footpaths to wander between villages and the lake’s crossing. For a fully experience you should dedicate to it from three to seven days. This lake district has a total of 76 lakes located in the heart of Austria. If you’ve ever heard of the cultural heritage and history of Burgundy, you’ll be pleasantly surprised to know about it’s amazing walking routes. It’s one of the most romantic places to go hiking. The Rhône Valley offers incredible paths with wide open vistas above the attractive French scenery. It’s a great opportunity to witness history as you practice sportive walking outdoors. The famous Nordic god Thor has his own forest in Iceland and you have the opportunity to immerse yourself into his breathtaking domains. The magic of walking routes in wilderness areas resides in experiencing the unknown while receiving benefits to your health such as fresh air and calming surroundings. Furthermore, there’s also the mythological side of this place, which invites you to stimulate your imagination by wrapping you in a fantasy atmosphere. This area is surrounded by mountain, glaciers, volcanoes and rivers, all common features of Iceland’s landscapes. You’ll find beautiful walking routes for all activity levels. Walking routes in wet and eerie places are always very atmospheric. Kerry’s hills are a fine example of Irish mountainscapes, a perfect place to spend the full weekend. If you have great mountain walking skills, you’ll enjoy exploring the Kerry Way. The Irish climate is mild and moist most of the time, but once you’ll find yourself at Kerry’s hills, we recommend you to keep close our self-heating meals, the best option to enjoy your food outdoors. This stretch of coastline is located on southern Italy and it’s one of the most attractive spots for the tourists between the mentioned walking routes. This coast was declared one of the World Heritage Sites by UNESCO, but the real interest for us, the adventure seekers, resides in Il sentiero degli Dei, or Path of the Gods. It’s a great opportunity to bring the hiking boots to this highlight walk which is 2000 feet above the Amalfi Coast. If you’re brave enough to overcome it’s dirty and rocky trail, you’ll witness spectacular views while hiking. You can also have a great hiking experience at this region’s scary mountains full of narrow paths. If you love waterfalls, ledges and traverse tunnels, and you aren’t afraid of immense drops only a step away from you, this destination is just for you. Madeira has lots of walking routes to offer, from dry volcanic island paths, to challenging mountains for vertigo sufferers. Are you searching for more traditional walking routes? For this route, you can choose between a series of pilgrimages beginnings at various points across Europe, with all of them ending at Santiago de Compostela, in Spain. This pilgrimage can last as long as you like, depending on your will to experience the full intensity of the walk. If your level of hiking is moderate, you should try to cover up to 25 kilometers a day. The Camino is initially about finding oneself and enjoying the silence and solitude, but it can also be an amazing experience as a group trip. As you’ve seen, Europe is a scenery full of options for outdoor lovers. Walking routes are a perfect opportunity to see the world while practicing your favorite healthy activity outdoors. From Forestia we encourage you to discover Europe and live inspiring experiences accompanied by our healthy meals.